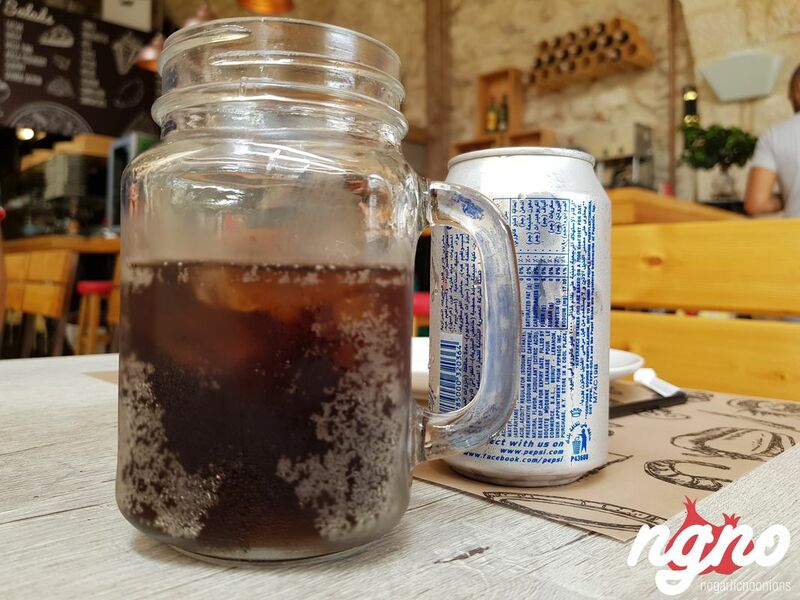 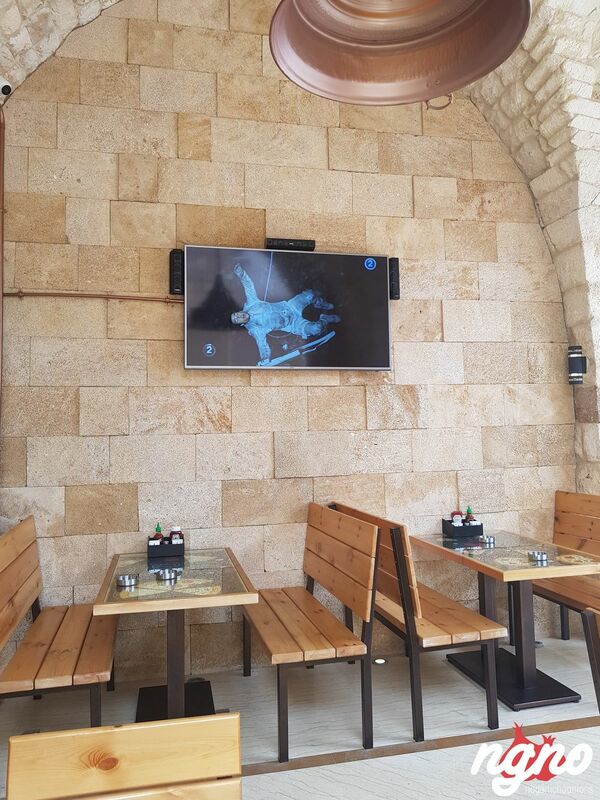 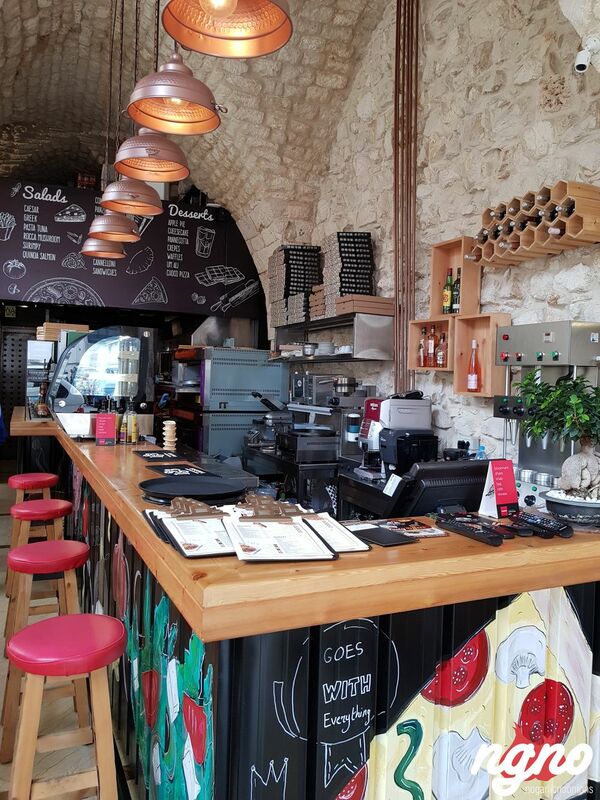 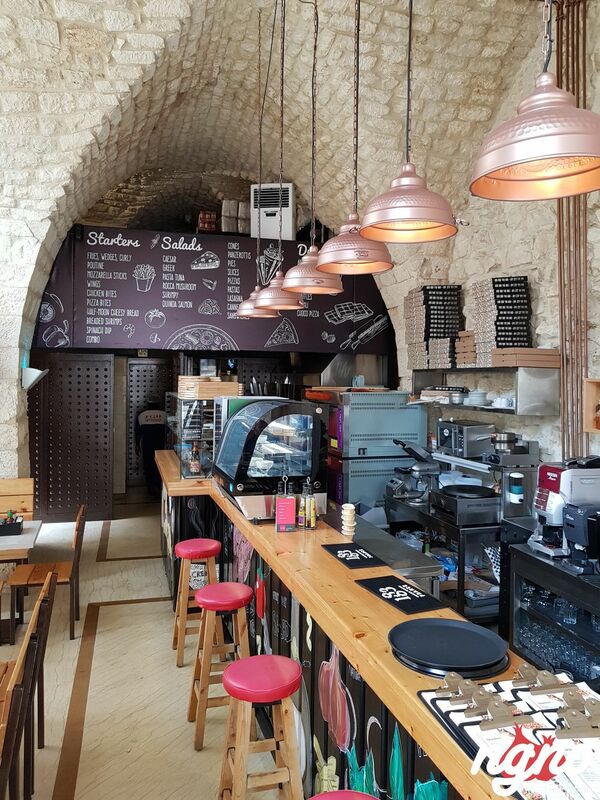 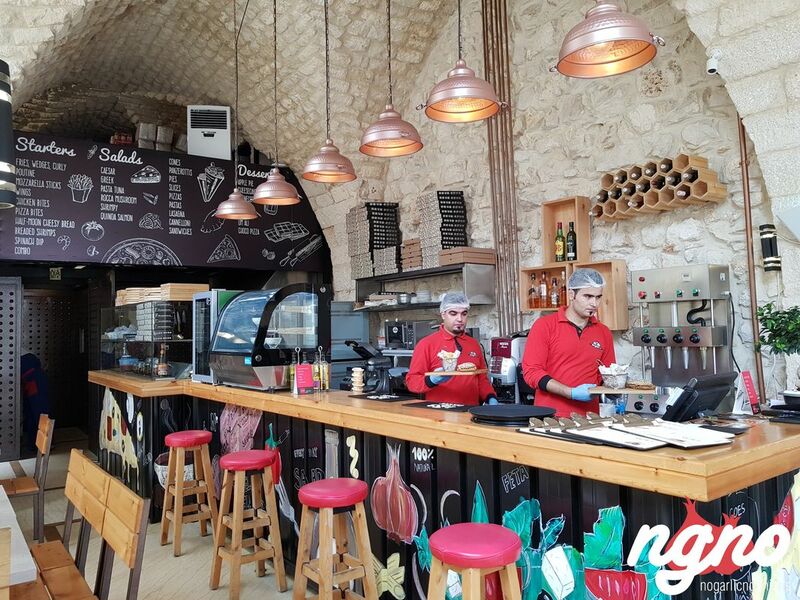 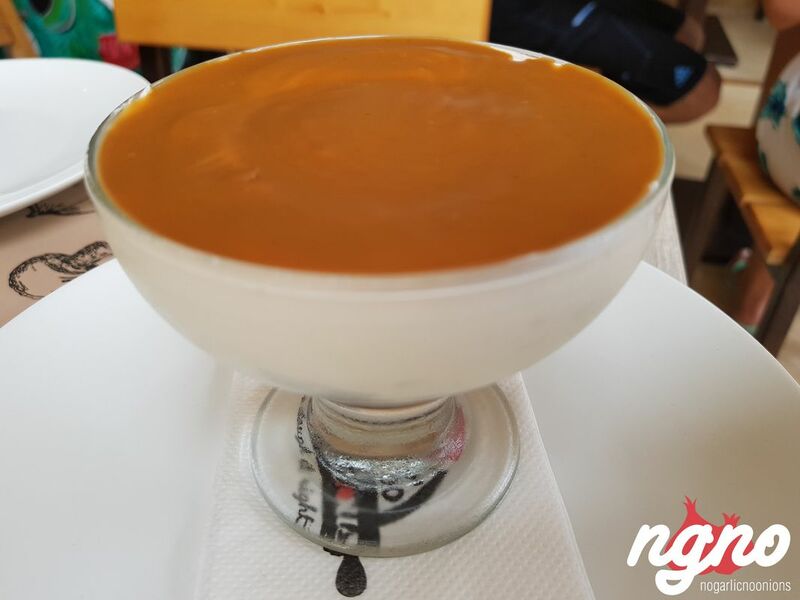 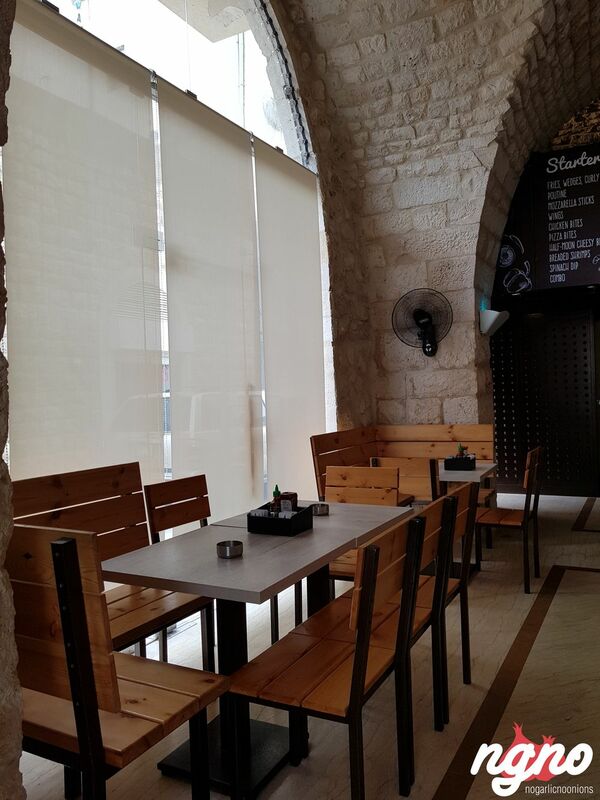 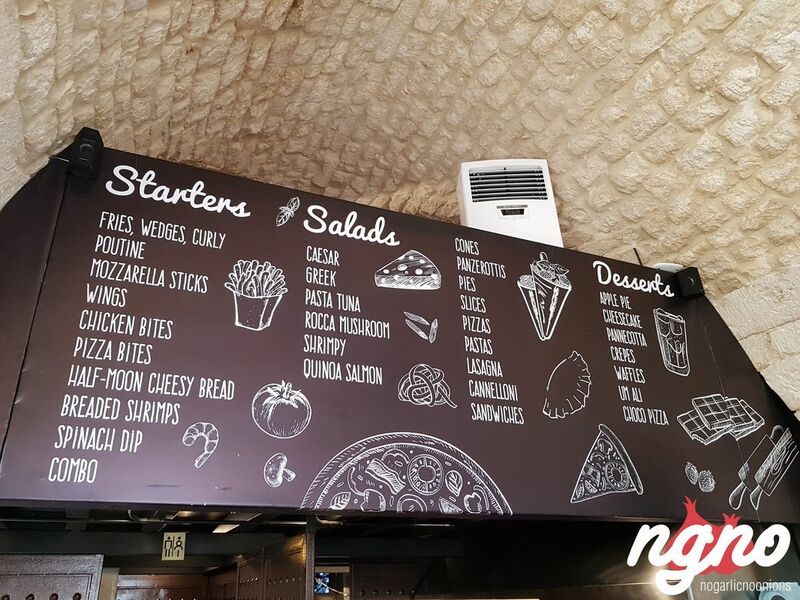 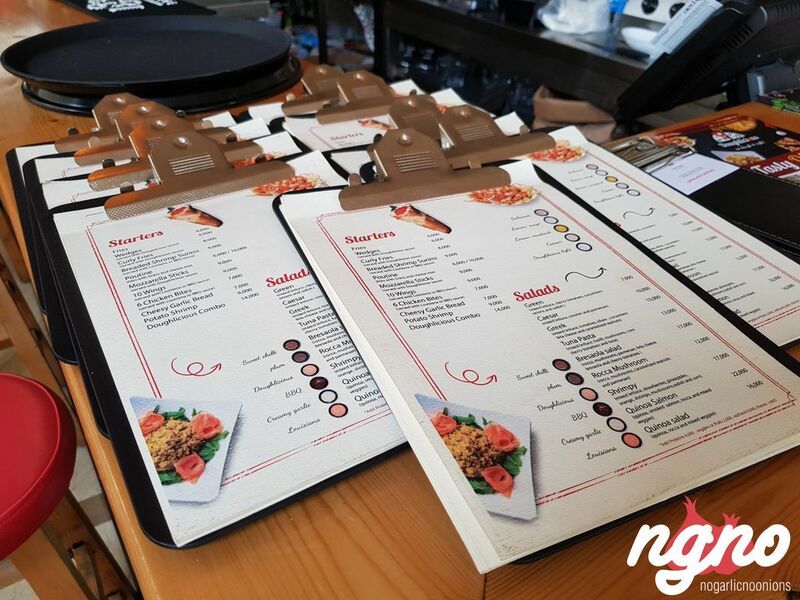 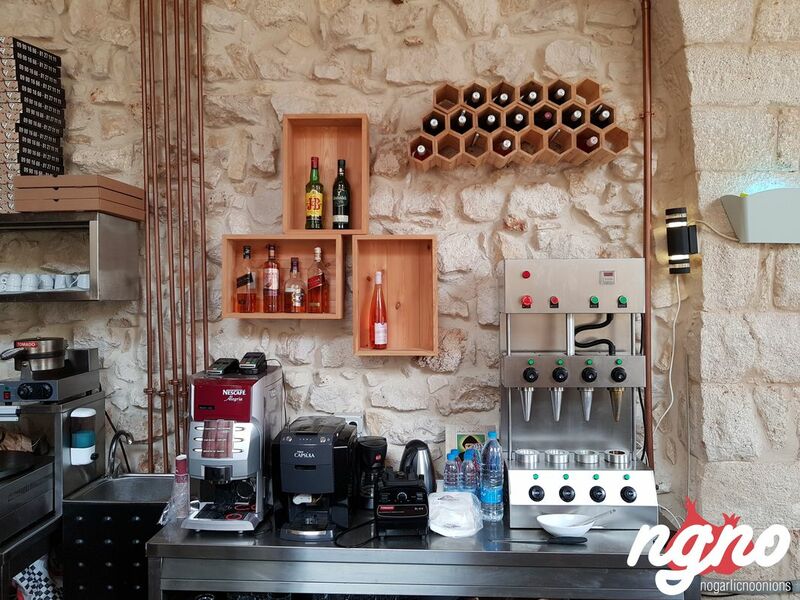 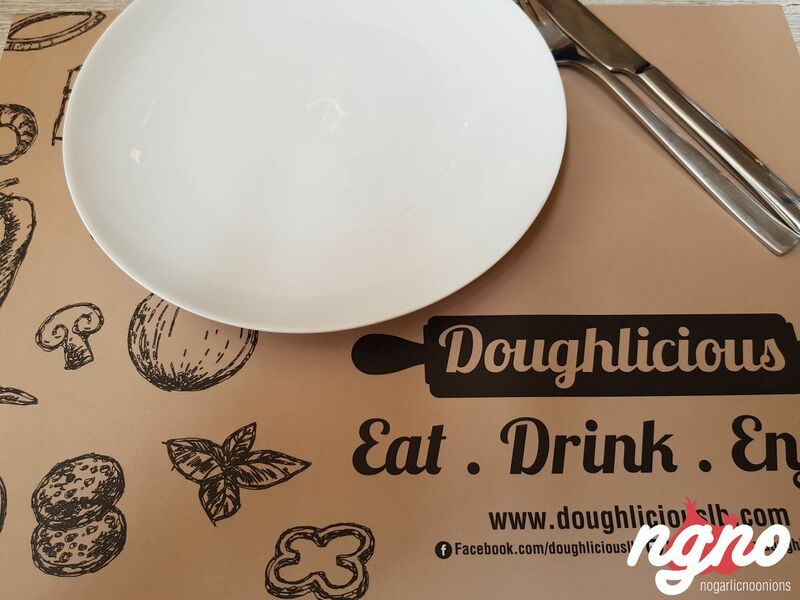 Back to Doughlicious, the diner on Jounieh’s old souk road for a new experience. 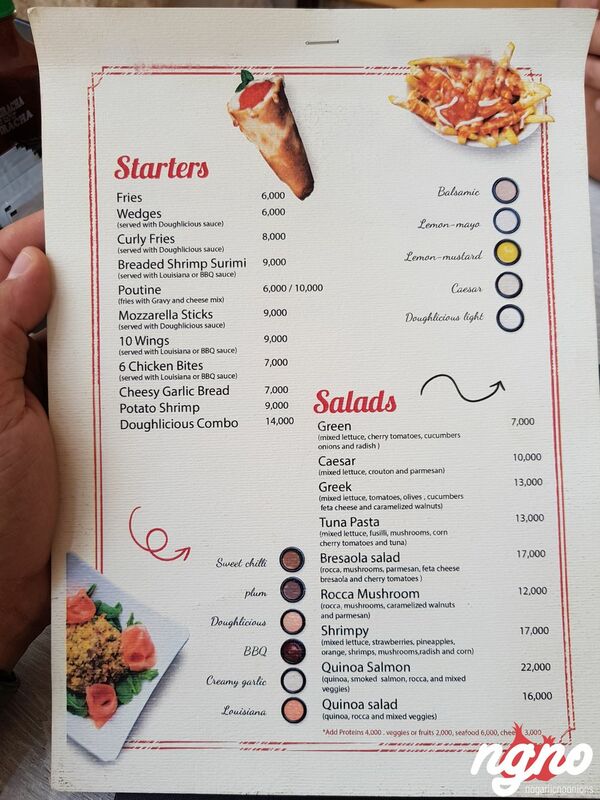 Second time already to discover the new additions to their varied menu. 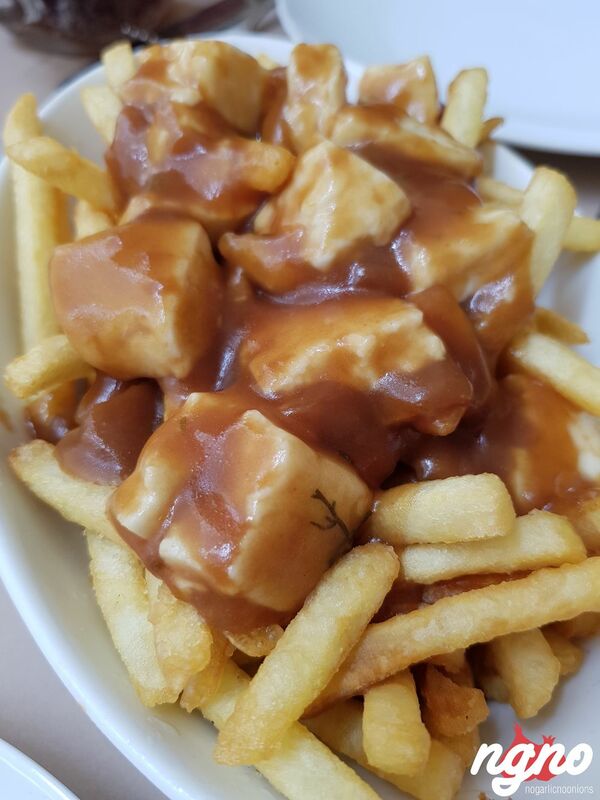 Poutine had been added as a side. 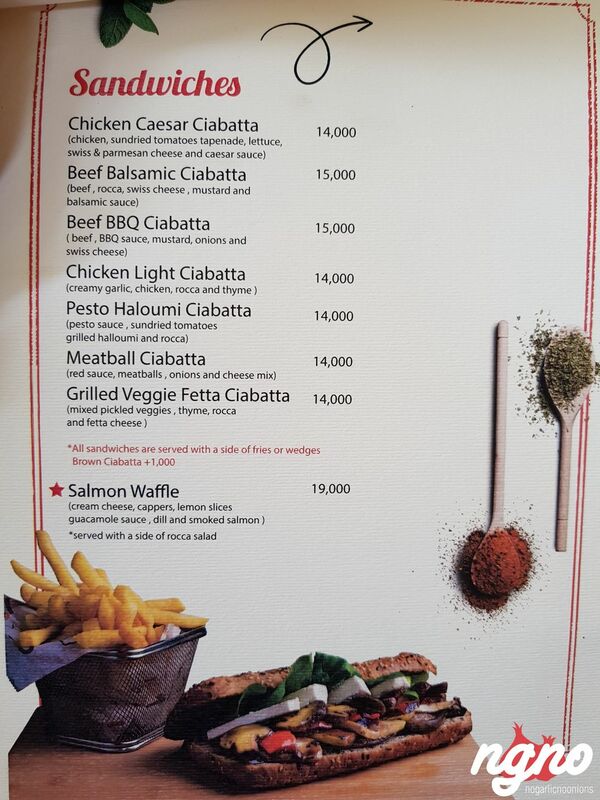 Two sandwiches have been added. 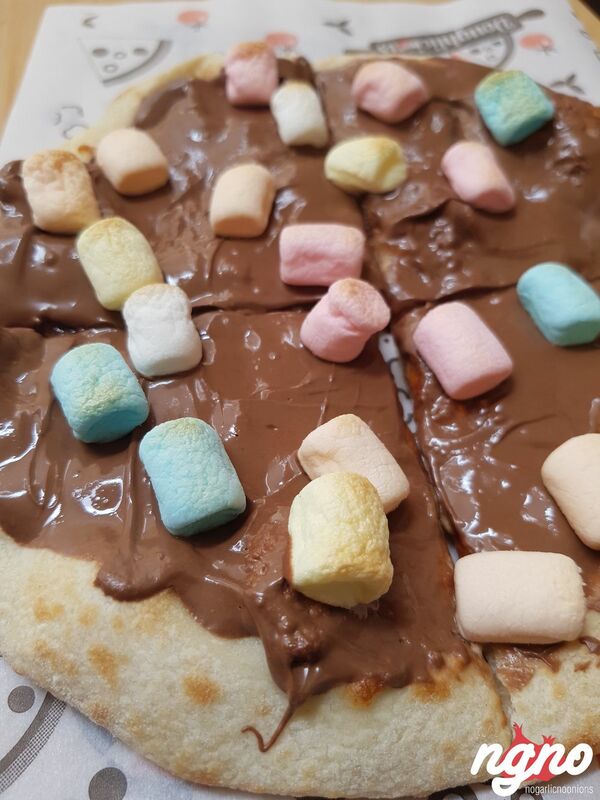 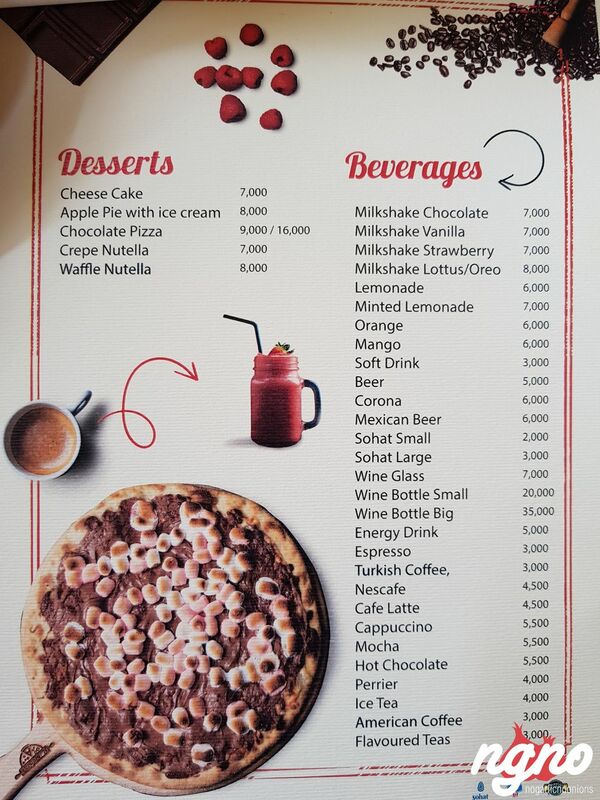 You can order the dessert pizza in a small personal size. 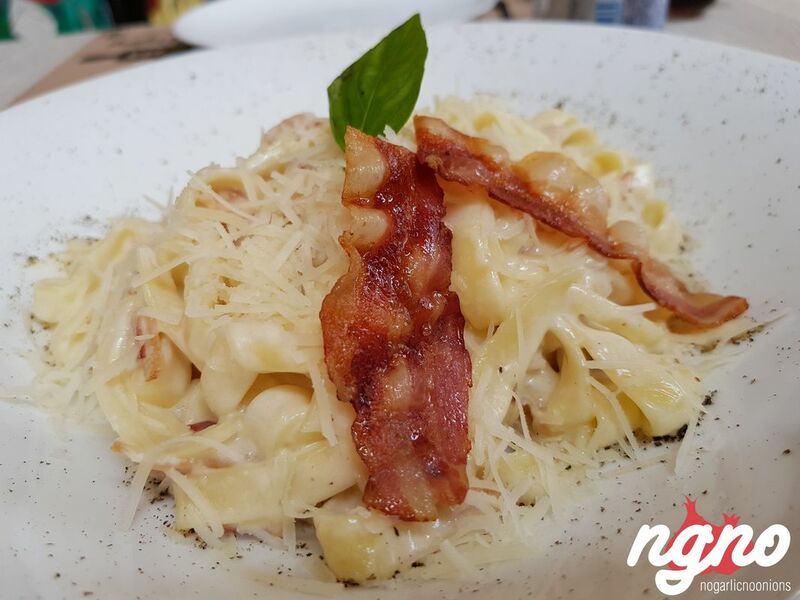 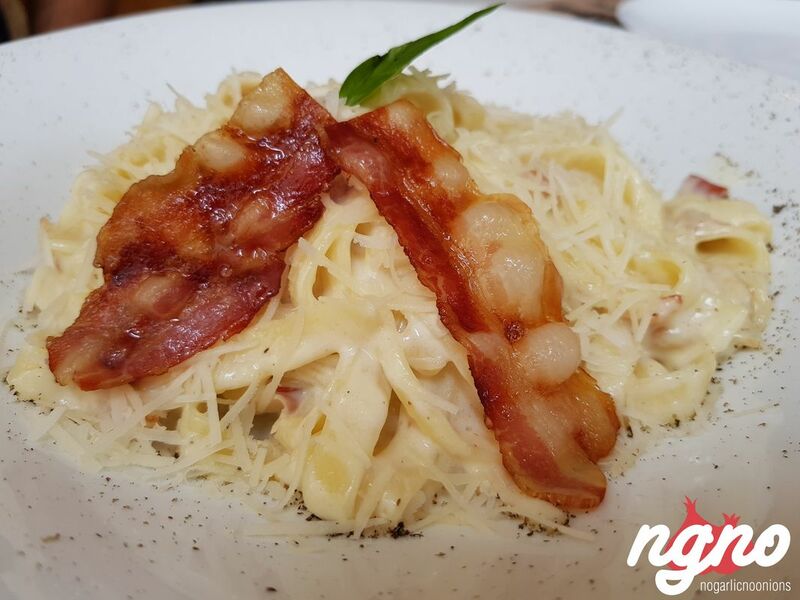 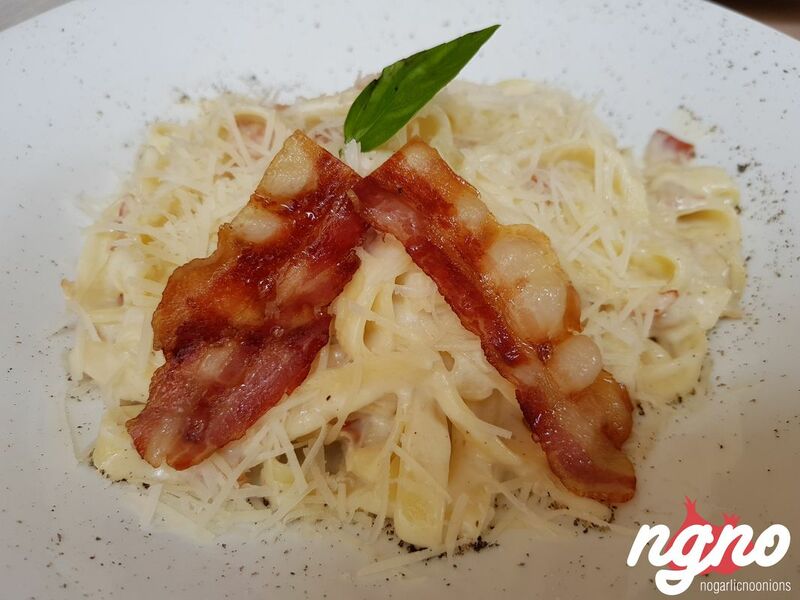 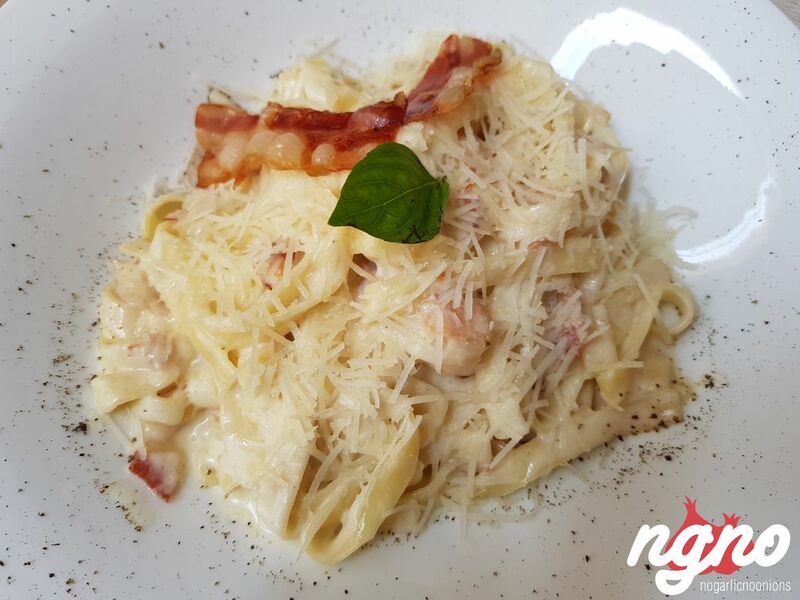 Fettuccini carbonara: fettuccini wth bacon, Alfredo sauce and parmesan. 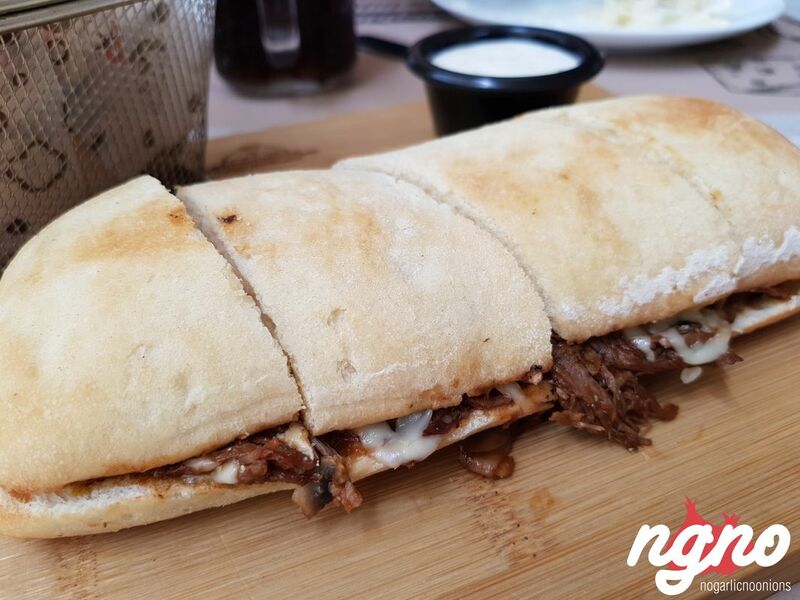 Beef barbecue ciabatta: beef, barbecue sauce, mustard, onions and Swiss cheese. 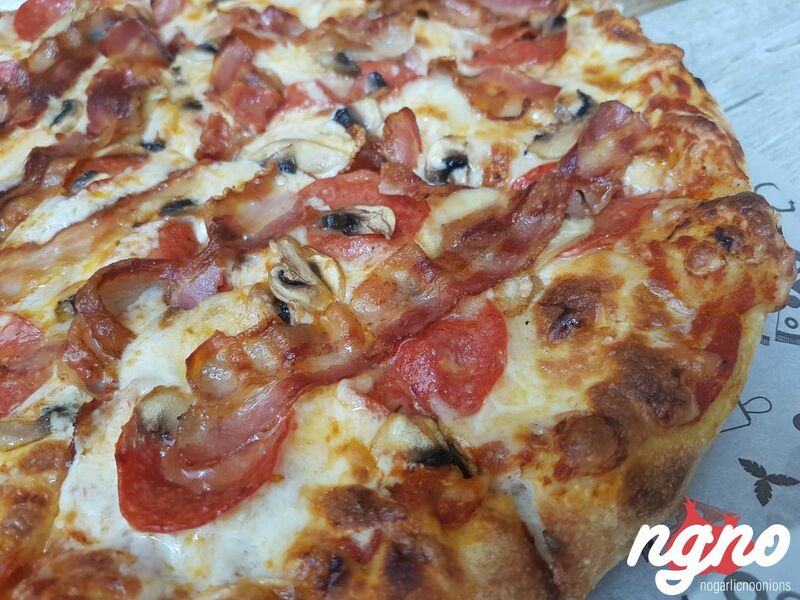 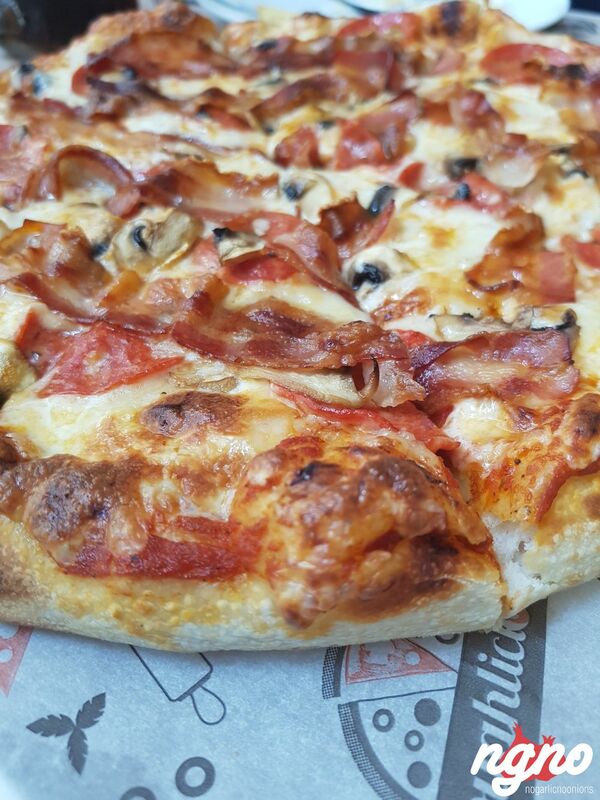 Canadian pizza: homemade pizza sauce, pepperoni bacon, mushrooms and mozzarella. 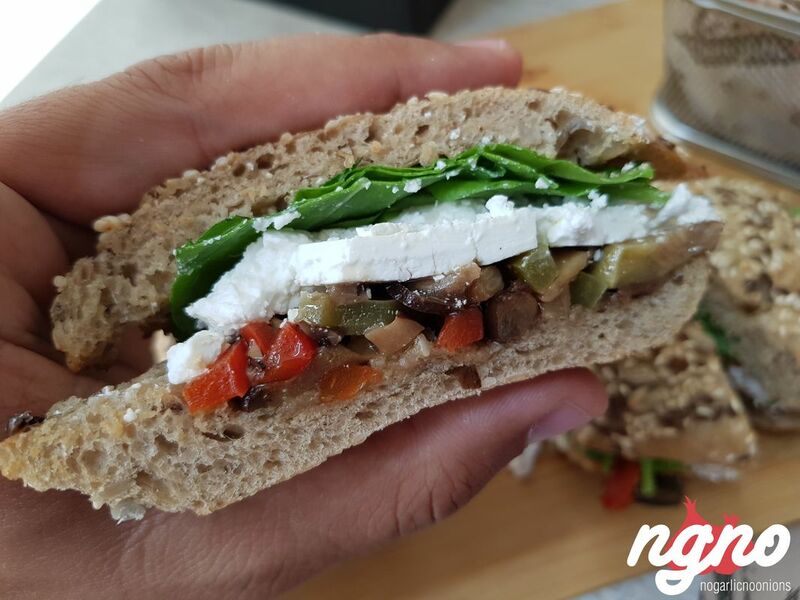 Grilled veggie feta ciabatta with mixed pickled veggies, thyme, Rocca and fera cheese. 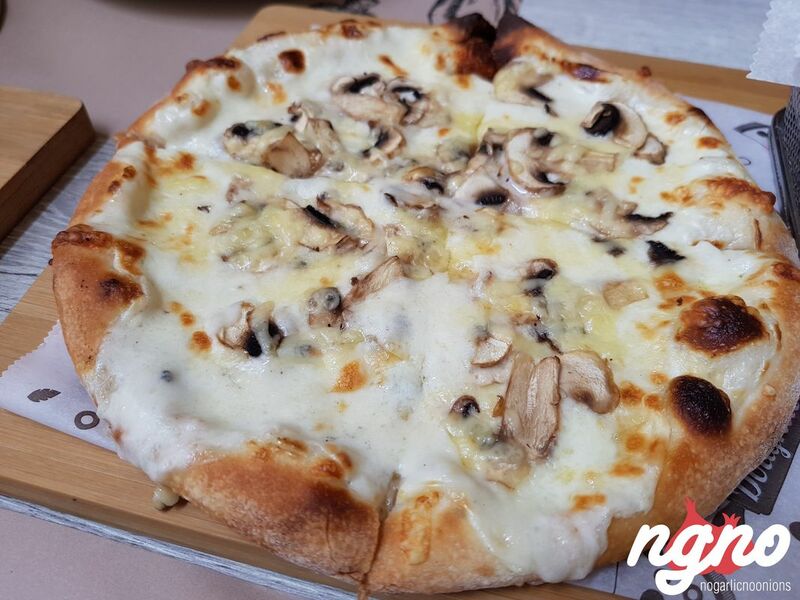 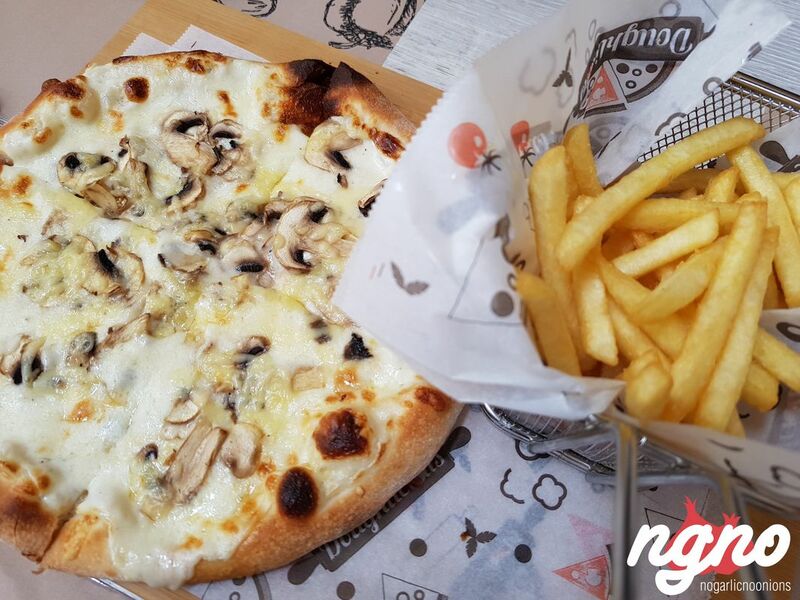 Swiss mushroom pizza: white sauce pizza, Swiss cheese, mushrooms and mozzarella. 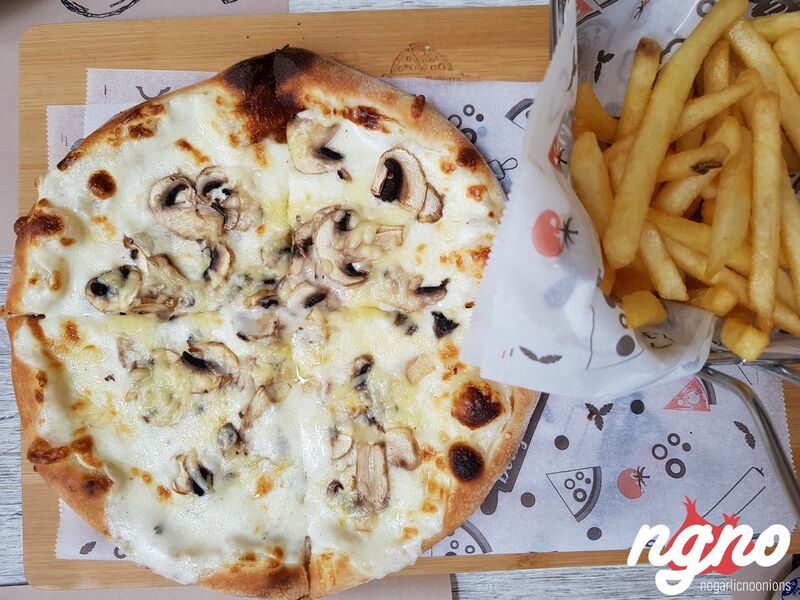 Why eat normal fries when you can have them loaded with more flavors and textures. 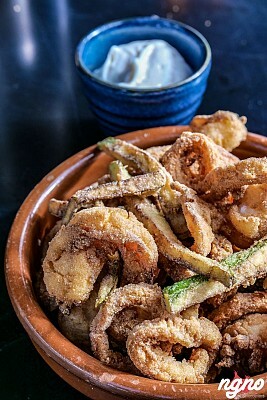 Super crispy small sized fried topped with gravy and white cheese curls. 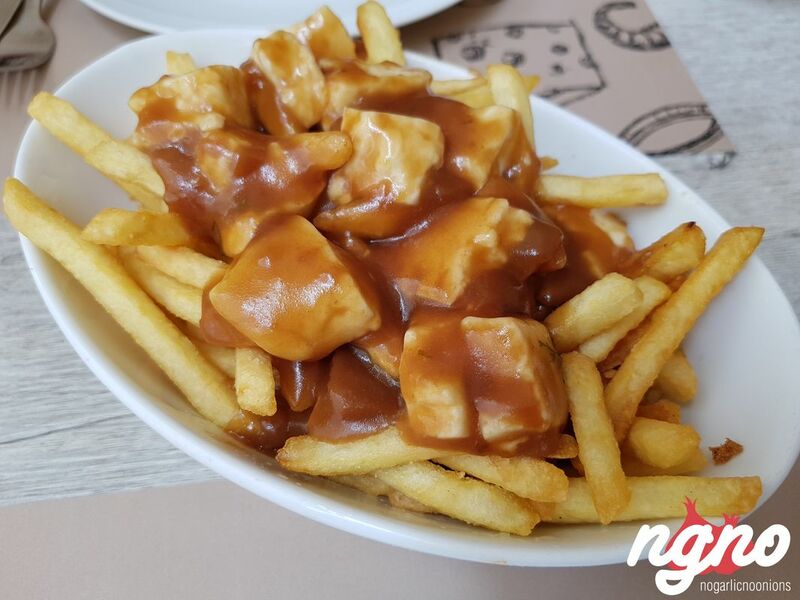 Poutine fries like they do it in Canada, a full bodied sauce added on top to smoother up the fries with chunks of tender Halloumi cheese on top. 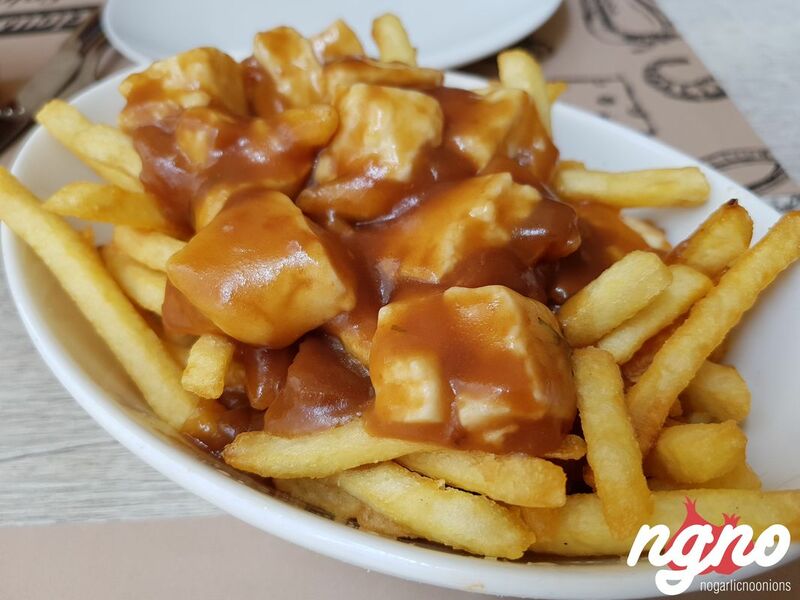 The Lebanese version of Poutine is an enjoyable way to start your meal. 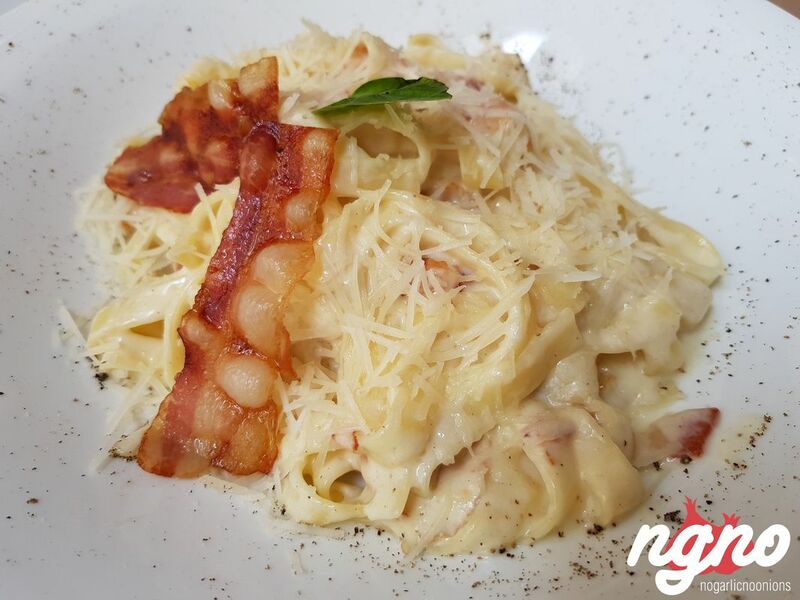 The carbonara: it's not aldente, it's not stylish and light but I personally enjoyed it. 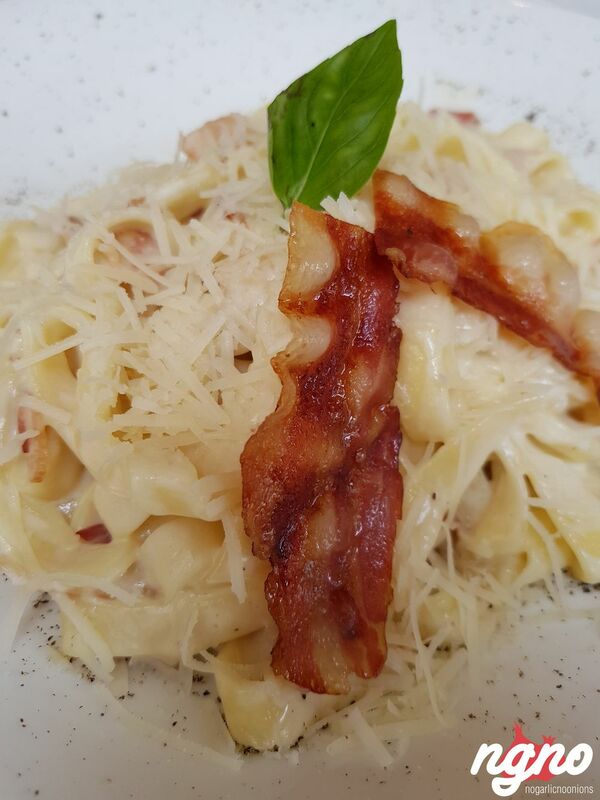 It's not Italian but more of the American way of doing Pasta, creamy, flavorful but overcooked for my taste. 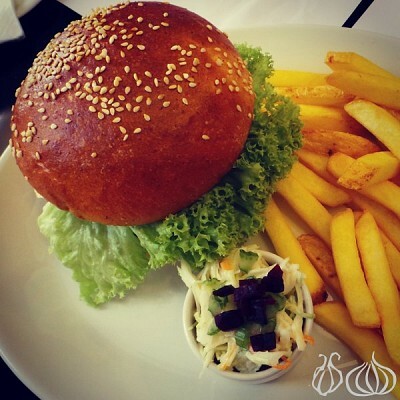 It reminded me of food in California or New York when you want to enjoy it without restrictions. 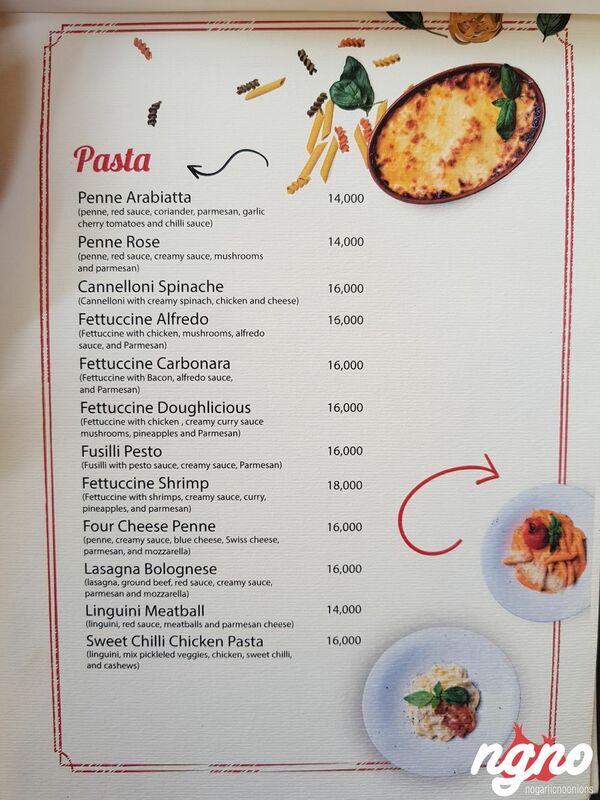 A fluffing and tasty plate. 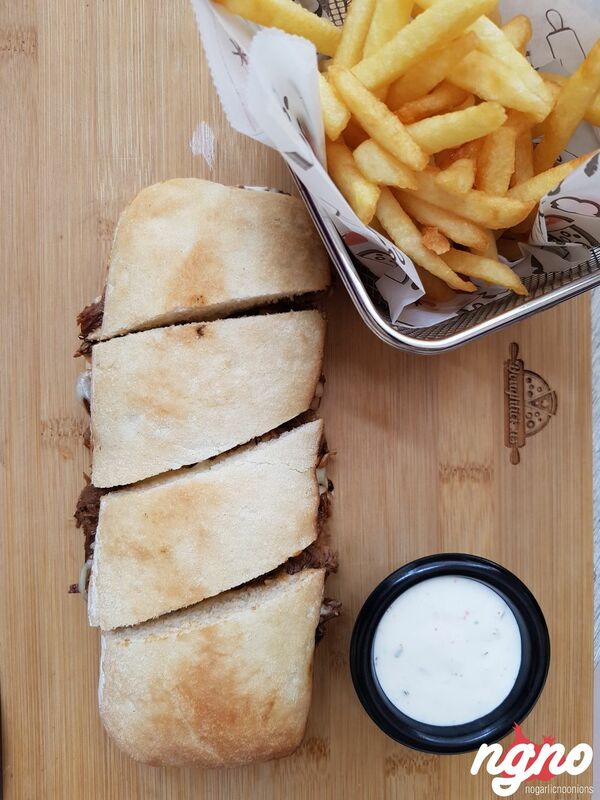 The beef sandwich is a must try! 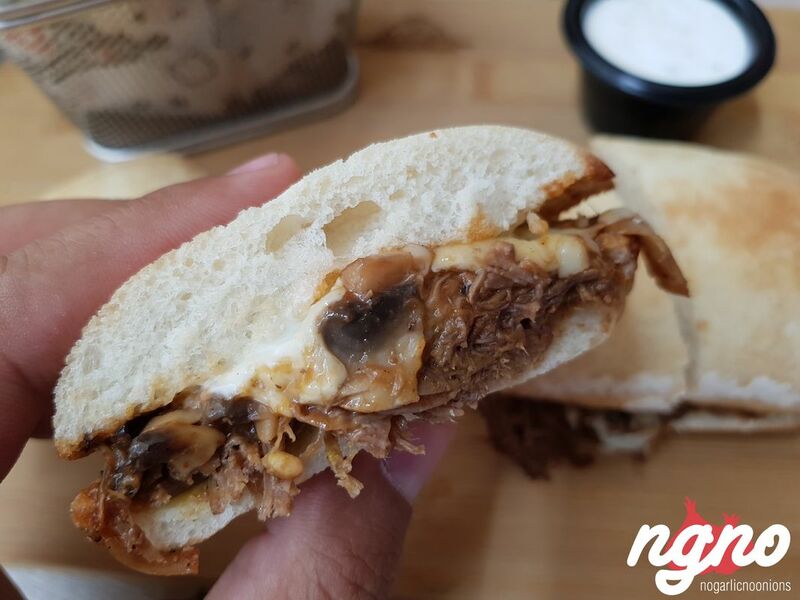 Pulled beef stuffed in a very tender bread mixed with a lightly sweet barbecue sauce. 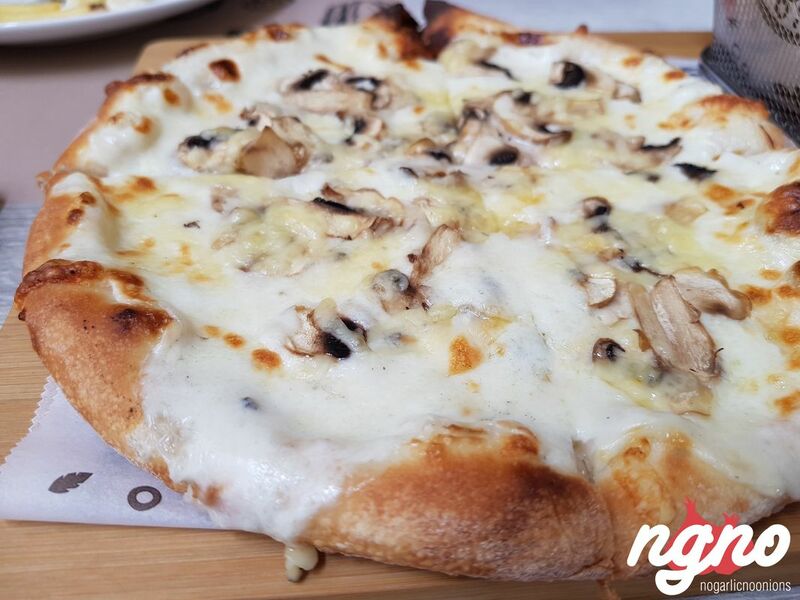 Melted cheese, mushrooms and much love. 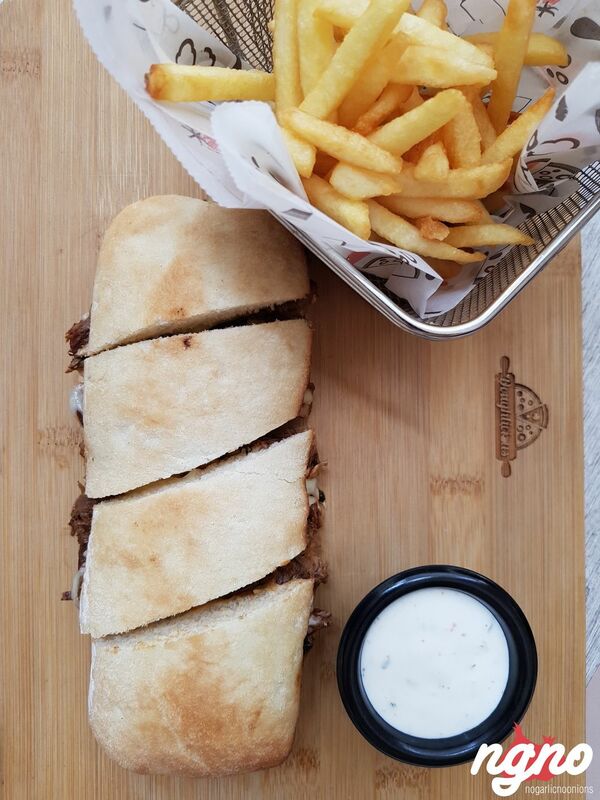 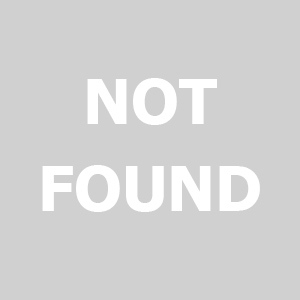 A really good sandwich. 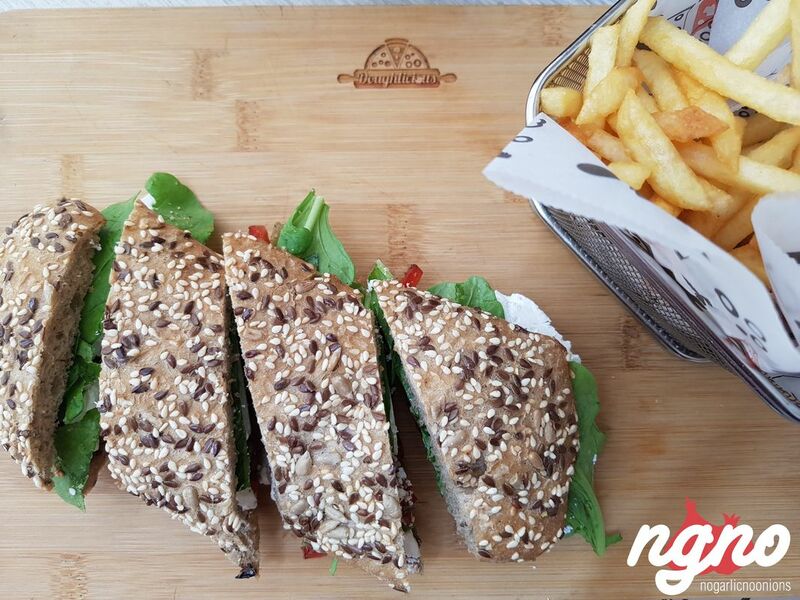 If you feel like eating light, the veggie sandwich is your choice. 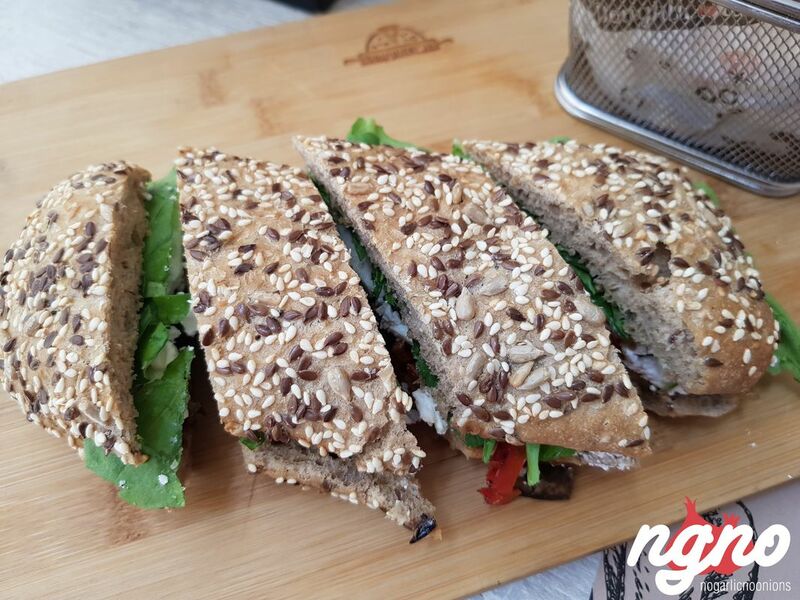 Fresh bread, a mix of diced vegetables in their balsamic sauce, chunks of white cheese and roquette leaves. 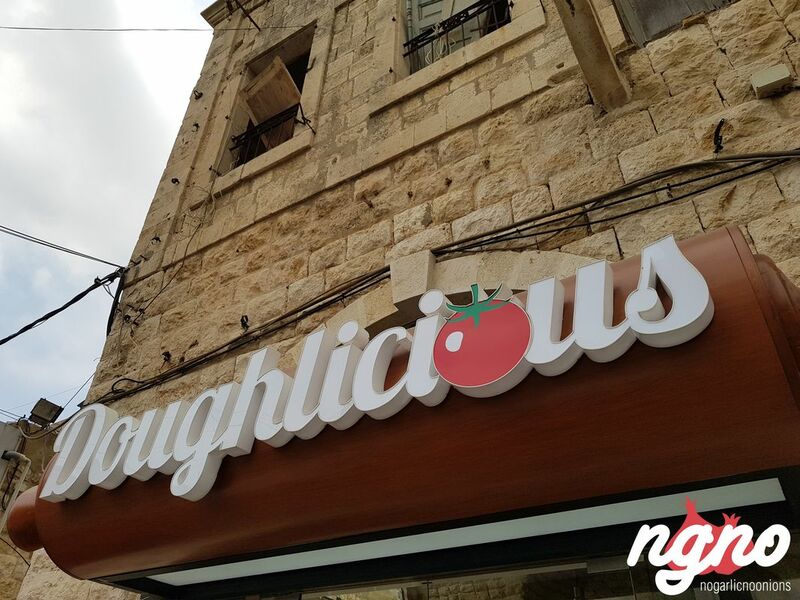 Loved the bread as well as the ingredients and the way the vegetables are specially pickled. 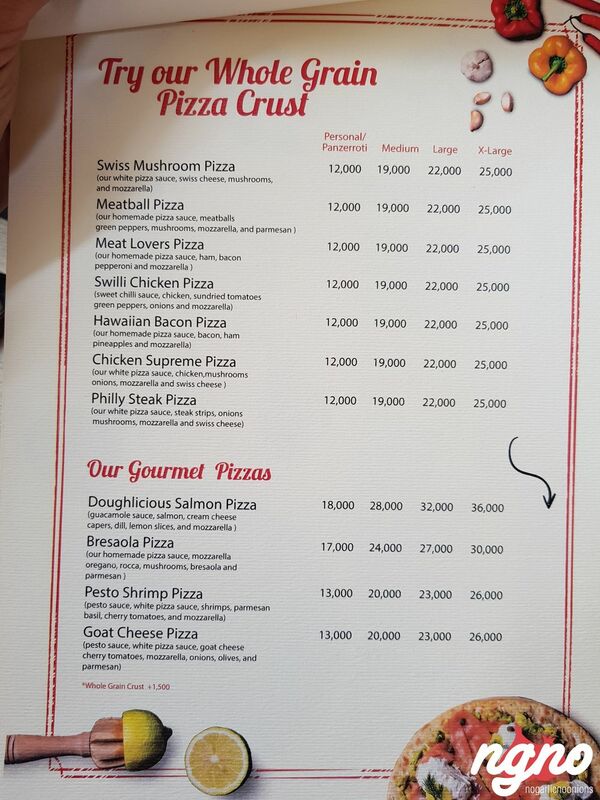 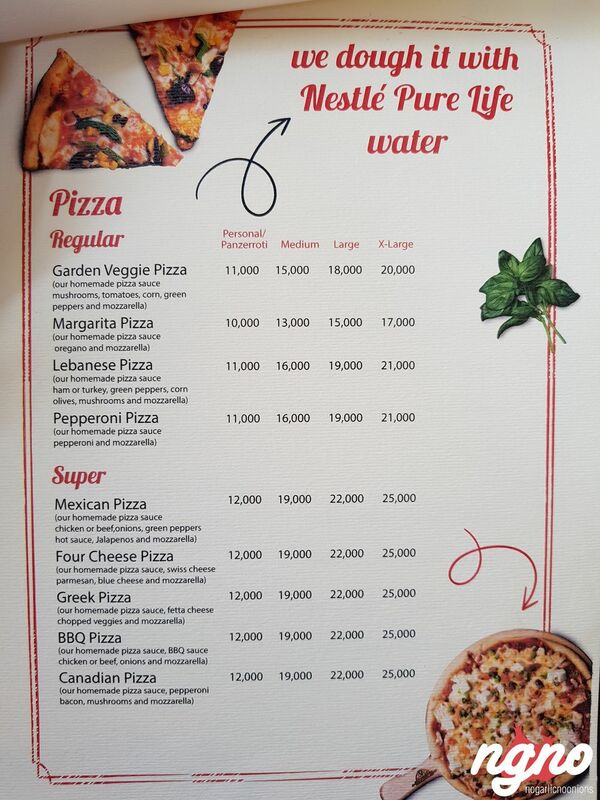 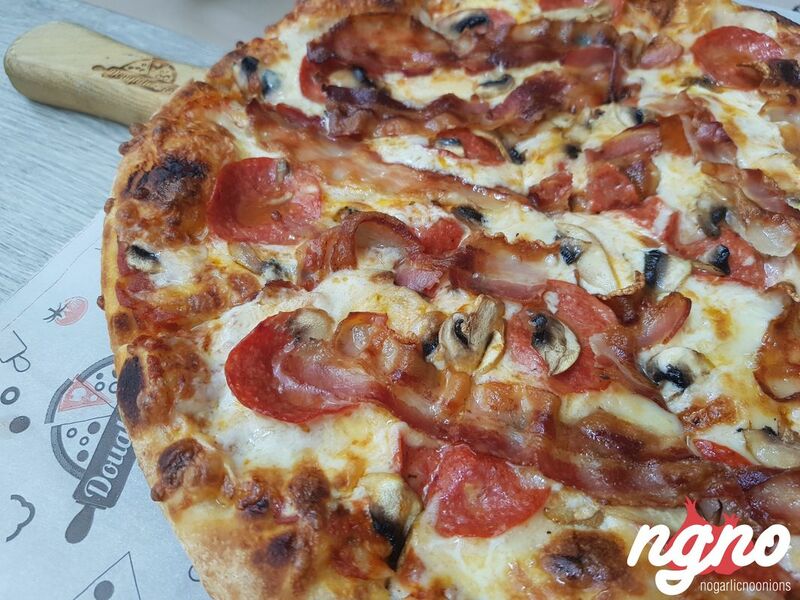 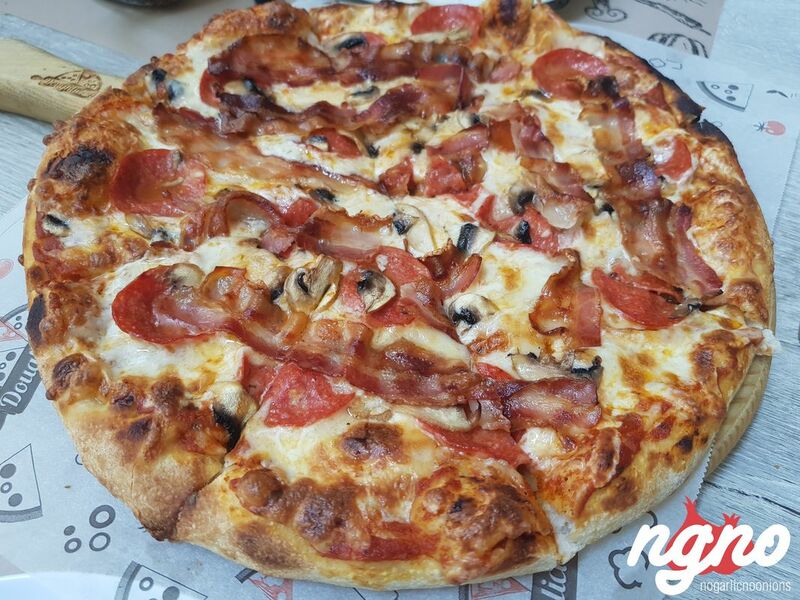 The Canadian pizza is the one you should try! 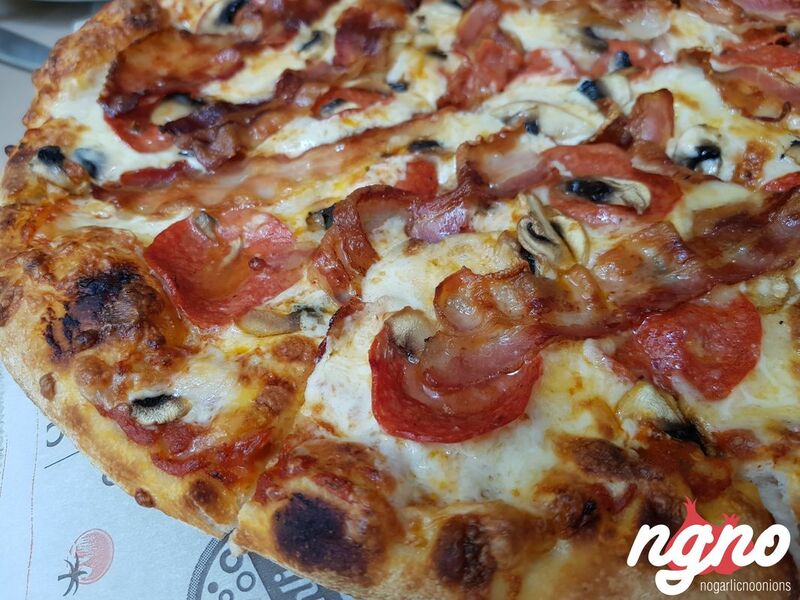 Slices of bacon, slices of pepperoni, a load of cheese, fresh mushrooms and tomato sauce. 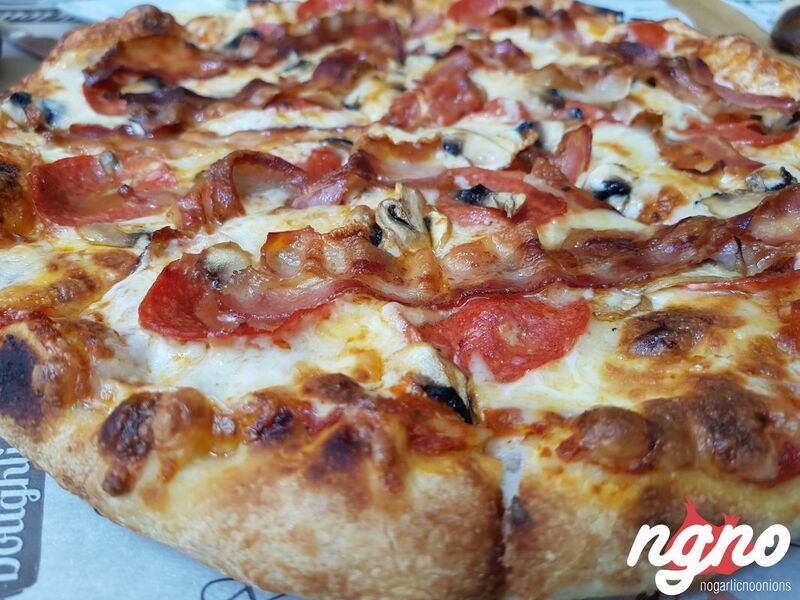 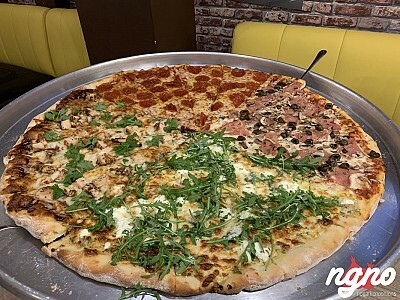 Beautiful colors and rich flavors combined into a good looking pizza you will enjoy. 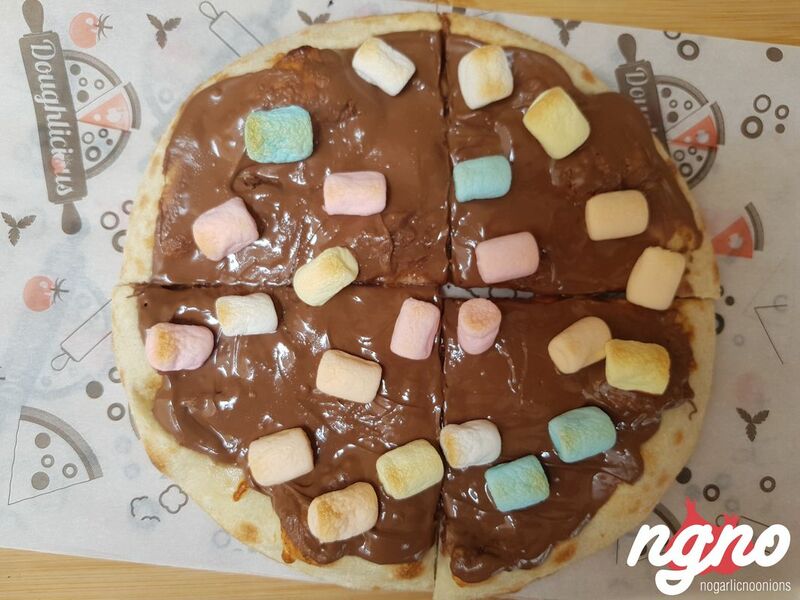 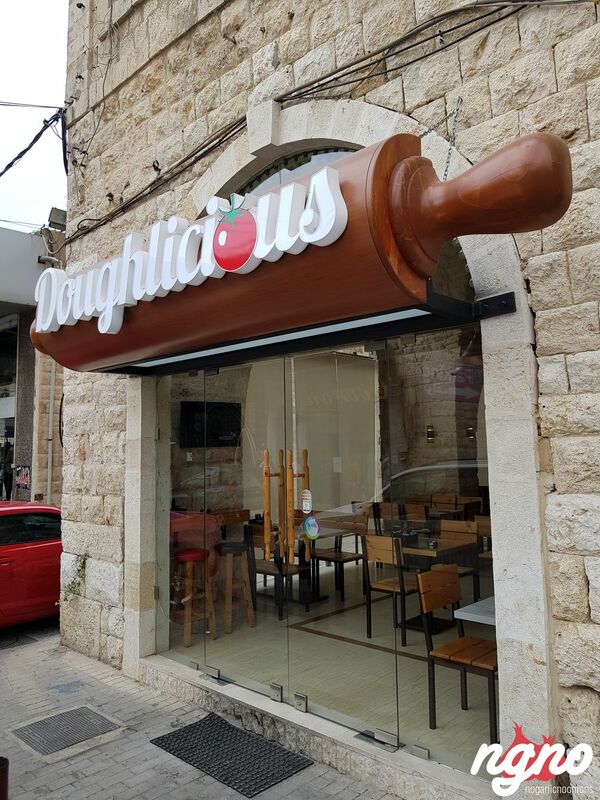 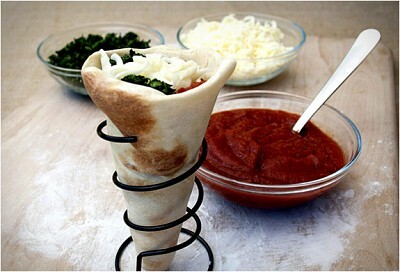 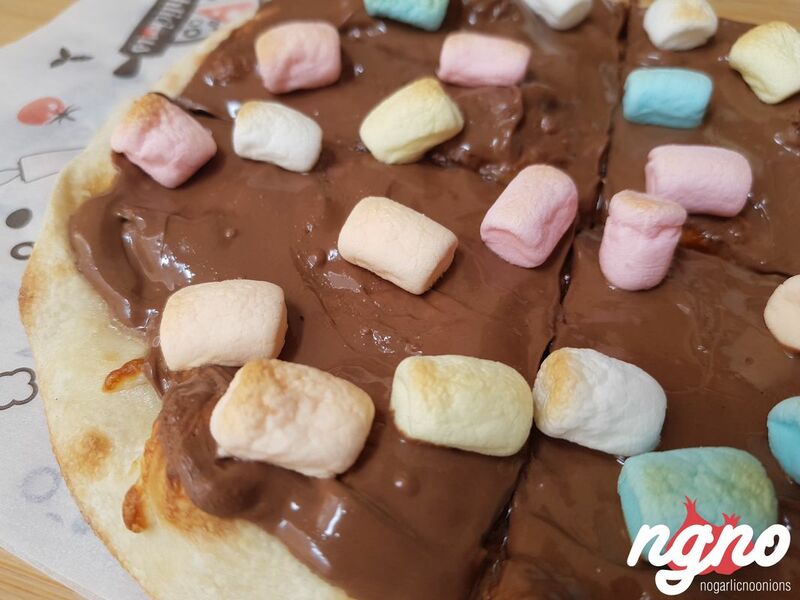 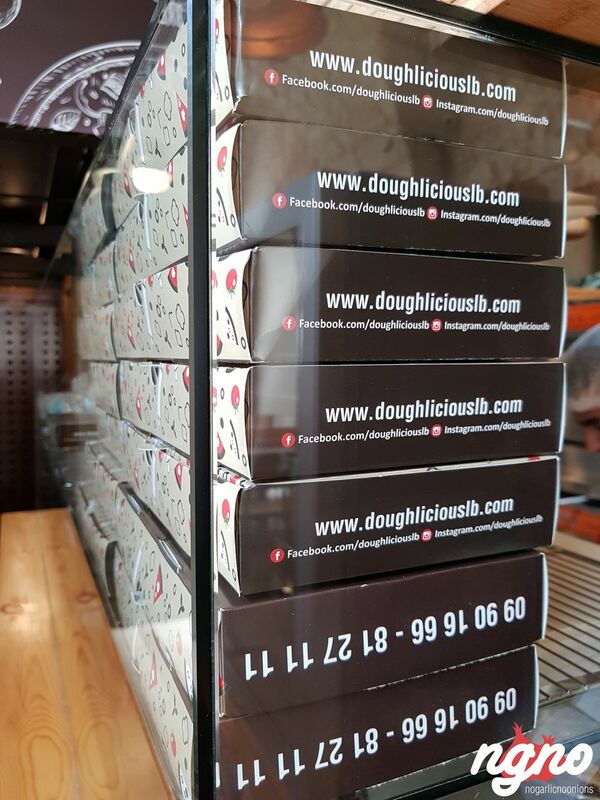 Doughlicious is expending and coming to Metn; find it soon at City Mall Dora.